As Dingle’s oldest hotel Dingle Benners has a heritage dating back over 350 years. The hotel has been home to many of Dingle’s legendary visitors and we continue to offer a warm welcome, exemplary customer service and a true Dingle experience. 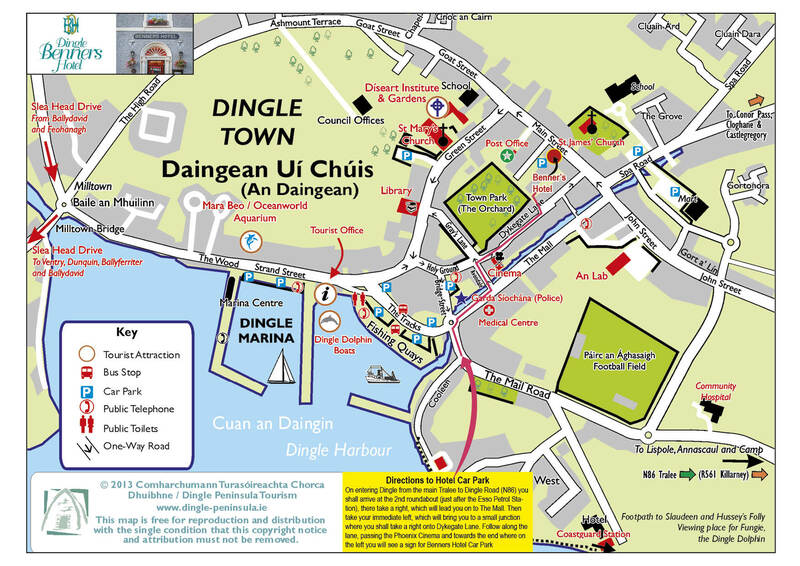 Once you have found you way to Dingle Benners, you have found your way on the Dingle Peninsula. We are always happy to help with planning your stay, our team have excellent local knowledge and we will ensure that you make the very most of your time on the Wild Atlantic Way. Guests staying at the hotel find a peaceful haven hidden at the heart of the town. Our guests enjoy complimentary access to the swimming pool and leisure facilities at our sister hotel, the Dingle Skellig Hotel.